According to MLAA , a locksmith is often underestimated, typically misinterpreted or mistaken in what they do due to the lack of public awareness and perhaps clarity in the depiction of what exactly a locksmith does. To most of us, a locksmith essentially is the man who cuts keys or repairs the locks on doors. There is considerably more to locksmithing in today’s modern world; nowadays, a locksmith can help you with your every security needs. The locksmithing calling has a history as old as civilisation itself, with discernable periods reaching out from established relic through to the PC time. The security of one’s belonging dates back to the antiquated Pharaoh’s, with tombs containing locking gadgets viewed as the forefathers of the current locking frameworks. Today a locksmith might be required to perform services extending from giving clients another transponder key for their ute, sedan or hatchback, give an exhortation on best securing one’s significant gems or outlining and executing a high-security limited ace key framework for a tall structure. The services and ranges of abilities of locksmiths have likewise changed drastically, with car masters, criminological locksmiths and those whose aptitude lies in safe-work ending up increasingly in-demand. It’s essential to note that locksmiths are qualified professionals and has met all requirements to offer you with security advice and answers for help address your issues. Also, would a handyman, land specialist or property chief know whether a deadbolt can be put on the passage entryways of a in a high-rise apartment block or alternatively which lever or knob sets comply with the Australian Building Code? Locksmiths can also access patented security key systems, where a purpose-built security system can be installed allowing for a whole range of scenarios including access permissions, date/time access control, key expiry and more. LocksUnlimited is MLAA accredited. Talk to us today. Apartment renters have special security concerns. Living close with other tenants, and the great amount of foot traffic can be aspects that may escalate the risk of intrusion and burglary. From a locksmith point of view, here are some tips to deliberate when picking an apartment, and ideas for keeping the place safe after lease signing. Security should be a top priority to protect your home and family before making that decision to move into a new apartment. 1. Check and Study Local Crime. Once you reckon you’ve found your dream apartment, check the local crime data of the area first. Find out any concerning activities in the neighborhood before signing a lease. Speak with the local police, prospective neighbours and your future landlord. Get an honest view of what life is like in the place. These websites may also be useful Vicpolicenews.com.au, Crimestoppersvic.com.au, Crimestatistics.vic.gov.au, and Police.gov.com.au will have the factual information you need. 2. Ensure Good Lighting. Burglars like dark and dingy prefer spaces. So on your new apartment consider checking the entrances, hallways, walkways, parking areas, elevators, stairways, mail areas, and laundry rooms and ensure they have good lighting especially at night. If there are areas that look unsafe, talk to your landlord about getting more lights installed. You may also think about putting a motion sensor light where necessary (usually the entrances). Make sure there are no dim, poorly lit to hide, the safer you’ll be. 3. Note Standard Upkeep. Consider all the routine maintenance and take in the general look and feel of the apartment. Are there water stains, broken windows, or cracked drywall, or water stains displays a lack of concern from a landlord. How about the lawn and landscaping, are these well-kept too? If the landlord takes the standard basic maintenance for granted, chances are there would be lapses as well with general security. 4. Ensure Safe Apartment Entrances. 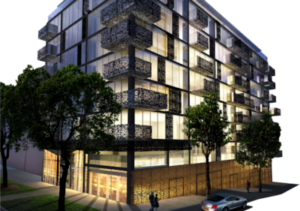 Building security must be a top priority when choosing an apartment. Residents must have control of the apartment access points to reduce possibilities of break-ins. Most apartments outside entry have gates which require a key, a passcode, or buzz-ins to access the hallways before having real access to apartment doors. 5. Look into a Peephole. A peephole, peekhole, spyhole or door viewer, is a small opening through a door allowing an individual to look from the inside to the outside. It can keep you and your family safe by allowing you to see who’s at your door before you open it. If your door does not one ask about getting one installed before moving in. 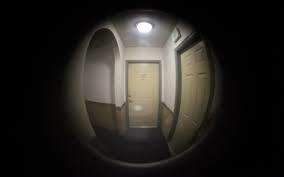 A peephole is particularly useful when there are questionable characters at your door. It keeps you safe and helps prevent any compromising situations. One modern alternative is to have a smart doorbell camera which lets you answer your apartment door anywhere with your smartphone. This type allows you to see who is visiting your apartment through your smartphone. 5. Get New Door Locks or Rekey Locks. In places with a constant turnover of houses, flats, apartments, and businesses like Melbourne– it’s vital to re-key current keys. More on rekeying here. It is better to be wise than sorry. Request to have your apartment locks replaced with brand new locks, not reused or refurbished ones. Never take the chance of having somebody having access to your apartment with an old key. 6. Inspect Window Locks. Windows are second preferred burglar access point. This is more so for apartments on the ground level. So consider all windows as a probable entry point – make sure all window locks are functioning perfectly and cannot be wielded from the outside. 7. Notice the Fire Alarms and Exits. To keep safe make sure the alarms are all in order and the exits are clear. Check if the fire escape access are properly kept and not accessible to intruders and burglars. In apartment complexes, exterior fire escapes can be lifesavers during an emergency, but their access to windows and balconies can also attract burglars. If your apartment has a fire escape, make sure it is stored properly off the ground, so intruders can’t reach your apartment. For more apartment security measures, get in touch with LocksUnlimited today. LocksUnlimited supports the use of restricted key access for businesses improved security. WHAT IS KEY RESTRICTED ACCESS? Key restricted access is mainly used to limit the means of entry access to some areas in the business to only authorised key personnel. Example of these areas includes the server room, the records room, the stock room, the safe, etc. 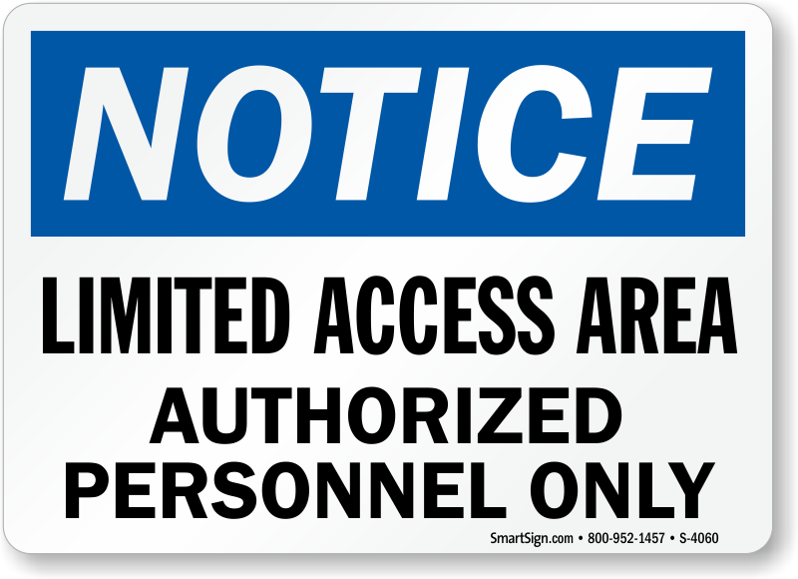 Having restricted key access, only chosen staff will have a key or the ability to or privilege of admittance to easily keep track of who has been in and out of the area. Working with key restricted access offer many advantages. As soon as your locksmith has done you the required number of key copies, you can be absolutely certain the keys cannot be copied. Significantly, only the prime locksmith who made the copies can cut a restricted key. Another assurance is that the key can only be cut if your locksmith has obtained your directions or request. You can enjoy the guarantee of waking up every day knowing that your assets are secured. Of course, you always have the option to have a locksmith fit standard locks but with consider that crimes are on the rise, these days safety is key. Restricted keys offer boosted security giving you peace of mind. Restricted keys are hard to break in. If someone really wanted to break in, it will take time, ample time for you to alert the authorities. LocksUnlimited uses only top of the line standard locks. However, you cannot discount seasoned burglars to succeed in picking your lock. For this reason, LocksUnlimited suggests for every business areas needing utmost security to have restricted keys. Simply put, employ locking system that can not be picked. It gives business owners control. In case of unauthorised access, you can narrow it down with an authorised key in the wrong hands. This is true. Compare the investment you will initially put down for your locking system VS the potential loss you may bring your business or home. It is always better safe than sorry. Your restricted key access expense is only a small fraction of the likely loss that can occur in case of intruders break in. So wait no more. Level up your business’s security today! LocksUnlimited can help you install restricted key access. Should you require more information about restricted key access, dial 1300 303 720 and a professional locksmith will be happy to help. LocksUnlimited offers many good options to secure your home and business. When Do You Call a Locksmith? Businesses and people contact a locksmith for countless varying intentions. 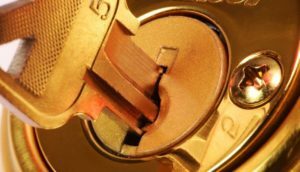 Homeowners, landlords, and business owners rely on locksmith in Melbourne in times of lock out and lock problems for our services. The most usual problem people call for our assistance is during locked out occurrences in their homes or business. Another most common reason you will need to call a locksmith is when you plan to improve your home or business security. A professional locksmith can install security systems be it simple or elaborate depending on requirements. Locked out situations are our most common call-out. It can happen to anyone at the most unexpected time. 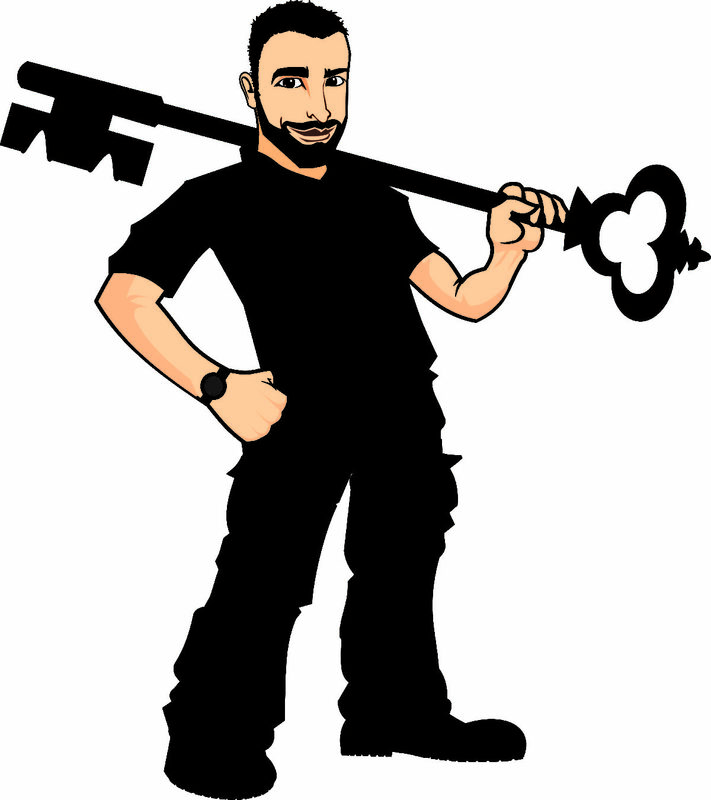 LocksUnlimited is your locksmith on the move in Melbourne. We will come to your location to help you get inside your property, asap. If there are instances that you can get into your own house or office not needing a key, there may be something wrong with your security! Unfortunately, most of us realise the flaws of our security system only after a burglary. A locksmith can also service car locked out along with the roadside assistance service. Our professional locksmiths are skilled in bypassing new locking systems for new car models. If your car is in a parking lot, and you have been locked out from your car – the more you’ll need a locksmith in Melbourne who can get to you quickly. We always lose keys more often than we’d like (yes, it happens to the most of us). Most of us may have spare keys yet still we experience losing that one last key. Modern keys are no longer cut using metal cutting machines. Locks are becoming more and more sophisticated with some featuring electronic details, thus requiring a bit of coding knowledge. There are more reasons to contact a locksmith in Melbourne. For your constant security and enhanced safety call LocksUnlimited today. A locksmith is in charge of your home, car or business security so it is a must that your locksmith is someone you rely upon. He is accountable and is tasked to maintain the safety of your property. Sadly, more and more consumers are getting scammed by locksmiths day in and day out. These scammers pose as professional locksmiths. They install locks and secretly make copies of the keys. They then return at a later time and with the key copies, they have easy access to your house, your vehicle or your trade. So, how can you prevent this unfortunate circumstance from happening to you? LocksUnlimited shares this helpful tips from our team of reliable locksmiths. When locksmiths advise changing a lock during a lockout – that is a red flag. A skilled locksmith can get you in without destroying any locks. A locksmith asking for unnecessary lock replacement is either not good or is after the money. When you are given a quote, a good locksmith sticks by it. When quotes change like the wind – that is another red flag. Simply don’t do any business with tradesmen who cannot stand by their word. Be aware that when you lost or broke a car key specifically, you can ask any locksmith to replace it with the alarm system. Of course, nearly all car dealers say they are the only ones who can solve your problem – this is clearly not true. Pick your locksmith from a friend referral or from someone you know. Testimony from family, colleague or neighbor is always better than the internet. 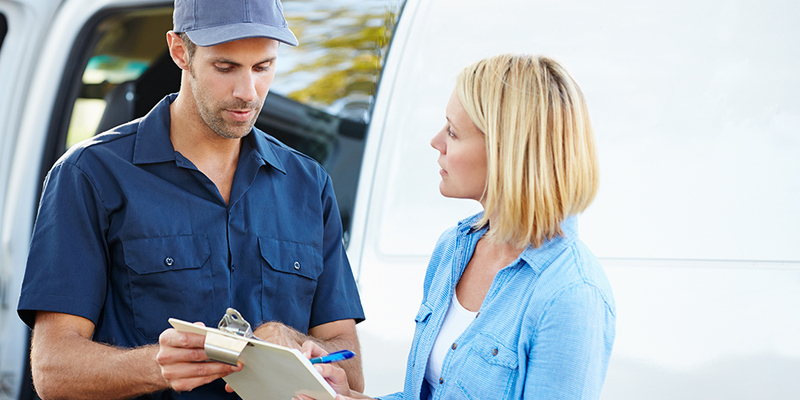 Credible and professional locksmiths will normally have a service vehicle. It is a valuable tool used to move around service area. Exercise some caution when your locksmith arrives on foot – unless he is the neighbor. Make it a habit to always ask for identification not just for locksmiths but for any service person who accesses your home, car or business. A professional locksmith has a card with a picture of them showing their accreditation. Credible locksmiths have business cards to hand to clients. We hope our 6 words of the wise aids you in finding the local locksmith who will be your hero. LocksUnlimited has been a trusted local locksmith in Melbourne for over 25 years. Keeping our homes and family secure is always a top priority. And choosing a locksmith goes hand in hand with home security. So when you decide to get a locksmith you must exercise some careful consideration. For some who finds themselves in need of a locksmith in emergency situations or inconvenient times, the process of looking for the right locksmith can even become stressful. Yet, no matter when or why you need a locksmith, it’s important to choose a fully qualified, professional and trustworthy locksmith company. Certification. Choose a certified locksmith in Melbourne. Being a locksmith is a highly specialized job. It requires high-level education and skills. Elect a qualified locksmith who has the experience, know-how, and credibility. Selecting a fully qualified Master Locksmith guarantees that the locksmith you are entrusting your security to has been thoroughly trained. Look for the MLAA logo and cross-check the company on the MLAA website. The Master Locksmiths Association of Australasia (MLAA) is composed of the master locksmiths in Australia and New Zealand. The MLAA provides network access on qualified, professional locksmiths and gives support through additional information about how to secure the important things. Convenience. Pick a local locksmith that attends to your need in minutes, not hours. It is essential that the locksmith you call has a physical address located in your area. Check them on the map or in published listings. Be careful because there are heaps of locksmith services advertised online claiming ‘local’ when they aren’t. Cost. 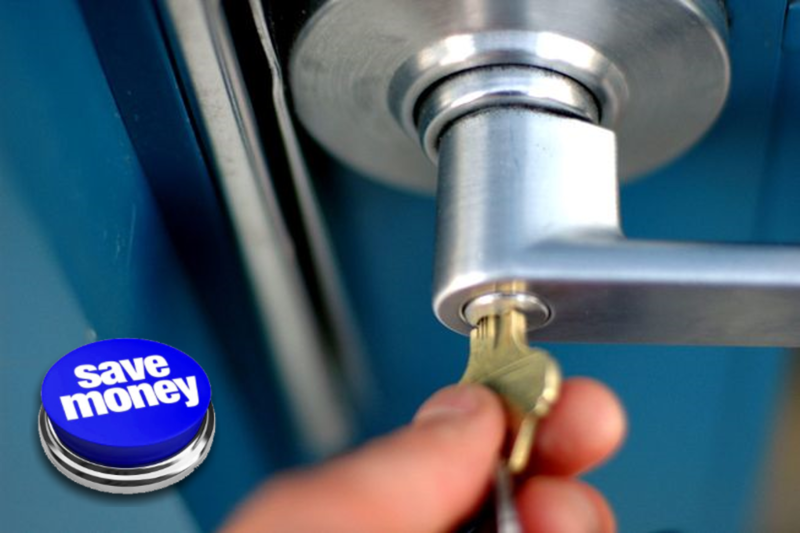 Hire a locksmith that tells you how much they charge for their services. Do not opt for the cheapest options because as most people know – cheap becomes most expensive in the long term. Do not hire a locksmith who charges the earth for locks. Be wary of jumping at the first proposal. It is best to contact several locksmith companies and talk to your friends, family, and colleagues. Shop around and get different quotes. Customer-first. Choose a locksmith that has an excellent track record of happy customers. The best locksmiths are very reputable and provide excellent customer service at all times. Take the time to read a few reviews online to check the reputation of any locksmith service you’re interested in using. LocksUnlimited is a master locksmith and is an MLAA certified locksmith. We are your local locksmiths on the move 24/7 trusted around Melbourne for more than 25 years. To get an idea of our service charge, rates and fees, click here. So if you have any problem with a product or services please let us know and we will come out onsite free of charge and fix the problem. Locks Unlimited have been in the locksmith business for over 25 years and we are here to stay. Don’t get court out with back yard mobile locksmiths that only trade for a short period of time. Get a business with a good name in the business and will return to you for other trusted services or warranties if than happen to come up. Another example is if you order a locksmith because you happen to of locked your self out, if the the locksmith arrives to open your door and wants to just drill your lock out costing you a new lock, Stop its a scam. Yes is some cases locks do need to be drilled out but not within the first 30 seconds or 10 minutes. A professional locksmith in most cases be able to pick your front door open with no damage to your door or lock. Picking a door lock takes years of training and practice and also in some cases locks today have anti picking pins inside the lock cylinders. This is where you need to get your self the write locksmith. Remember the name Locks Unlimited.